Modern adolescents are known for their sporadic attitudes, desire for independence and raging hormones. Many teens have seen the familiar picture of adults rolling their eyes, humored smiles on their faces, sighing, “teenagers,” with a shake of their head. Often, we are suppressed by this cliche image that when we want to get serious about suspicions we carry concerning our own mental issues, we are told our problems must have some affiliation with our infamous “teen angst”. We are denied the opportunity to have what might have been a much needed conversation, when in actuality, we are facing problems such as depression and anxiety, often the ones that cannot be seen. The people who play prominent roles in these young adults’ lives are crucial components in making sure teenagers do not feel isolated because of their mental issues. High schoolers may be infamous for thinking they know everything. But we should be taken seriously by others when we claim to be feeling distraught by what may be a mental health issue. According to Newport Academy, a teen rehab center, mental disorders in teens are at an all-time high. If a child gathers the courage to finally speak to someone about the hurricane raging in their head, they are not looking for a whimsical reassuring comment. It is understandable if parents hesitate to act when confronted with such news, and it is not their fault for not understanding at first, but the most effective way to address their own confusion would be to have their child explain their inner turmoil. Ignoring the situation a child might be going through will only lead to decaying conditions, confusions and – in the worse cases – suicide. Young adults with mental disorders rarely develop them because of issues with their parents, but those disorders can snowball into bigger monsters if they are not addressed. Parents should not take those issues into their own hands, either. Taking steps to help your child, in addition to unconditional love, is a constant reminder to high schoolers that there are solutions to be found. Teachers, for example, are often resented by their students because they may not take into consideration the issues students can have. We do not always seek attention and look for excuses. Sometimes we need a person we can turn to. Mental disorders are not easily spotted, which is why empathy – not pity – is an important attribute to have in a teacher. 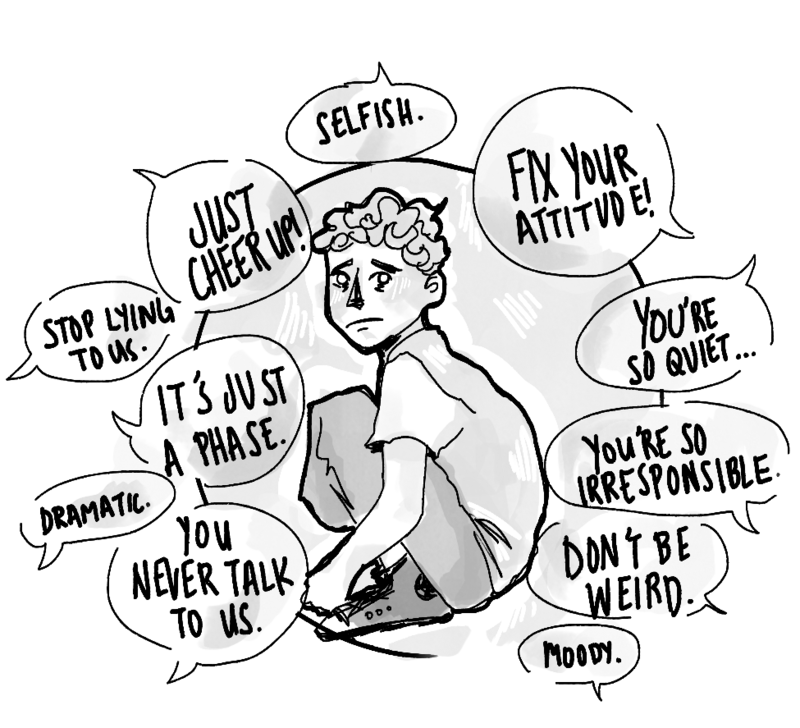 The way some kids refuse to socialize is not always because of their mood swings – it could be social anxiety. That “unusual nervousness” your learners sometimes get may not be a common symptom of the jitters, or a sign of disinterest or disrespect. The consistent bouncing of the knee under almost every student’s desk cannot be suppressed just because you scolded them for it. However, teenagers must be making an effort on their part to facilitate conversation as well. The help they receive is largely dependent on their maturity and strategy when coming out with their problems. Sometimes it takes sitting down and putting everything out in the open for people to be able to comprehend what is going on in your mind. Mental health disorders are not something we can continue to put in the back of our minds and wait like sitting ducks for them to escalate into inferring and possibly extreme problems. Action needs to be taken, and people have to become vulnerable for the problem to be fixed.